Posted by Melanie Nathan, May 17, 2013. Lesson learned!! Didn’t know about the existence and even less the meaning of IDAHO … so important to know. The thing now is to spread word in the USA in view of the momentum that is in place …. WE ALL ARE ONE!!! Thx for sharing .. will re-blog!! Educational piece. Why IDAHO is important!! Many countries can’t have Gay Pride Parades. For them IDAHO is very important. Why May 17? 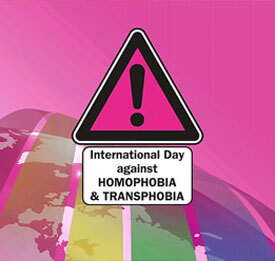 Because that it the day that homosexuality was removed from the list of “diseases”. Yess ….